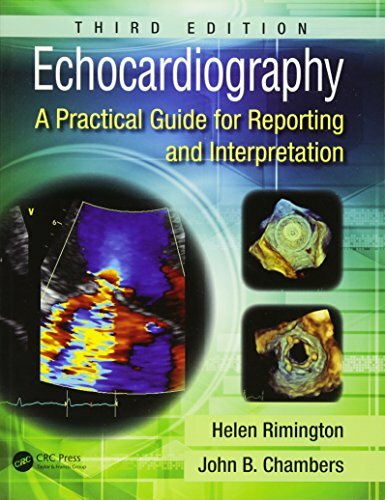 [PDF] Echocardiography: A Practical Guide for Reporting and Interpretation, Third Edition | Free eBooks Download - EBOOKEE! Description: Echocardiography: A Practical Guide for Reporting and Interpretation is a step-by-step guide to clinical echocardiography. This new edition has been extensively revised and includes new international guidelines, grading criteria and normal data. The book presents an up-to-date discussion of echocardiography use in both acute and critical care settings and provides increased guidance for clinical interpretation, including how echocardiography can help inform surgical decisions. In addition, the content has been extended, particularly in the consideration of valve disease and cardiomyopathies. Providing a pragmatic approach to clinical echocardiography, the book also covers examples of conditions requiring urgent clinical advice. It contains a summary of formulae as well as supporting online images and videos. No comments for "[PDF] Echocardiography: A Practical Guide for Reporting and Interpretation, Third Edition".